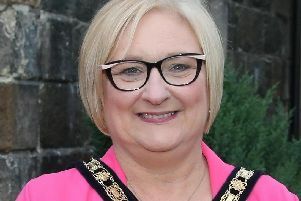 The first two humanist marriages to take place in Northern Ireland will occur this weekend after the Belfast Court of Appeal ruled in June that they must be legally recognised. On Saturday Emma Taylor and Paul Malone will be getting married at Queen’s University Belfast, while on Sunday Alanna McCaffrey and Ronan Johnson will be getting married in Co Fermanagh. Their celebrants are Stewart Holden and Lara Harris, both accredited by Humanists UK to carry out the ceremonies. Miss Taylor and Mr Malone said they were excited to be one of the first couples to having a legal humanist marriage. “When we started planning our wedding, we knew we wanted something highly personal that is all about who we are as a couple, and that’s what humanist marriages offer,” they said. Miss McCaffrey and Mr Johnson said that as a non-religious couple they wanted a very personalised and meaningful ceremony. “That’s why we want a humanist one – because you can customise it to suit yourself,” they said. Humanists UK said their weddings are a non-religious ceremony that are deeply personal and conducted by a humanist celebrant. It differs from a civil wedding, it says, in that it is entirely hand-crafted and reflective of the humanist beliefs and values of the couple and conducted by a like-minded celebrant. Richy Thompson, director of public affairs and policy at Humanists UK, said: “We’re delighted that the first humanist marriages following the court ruling are now taking place”.